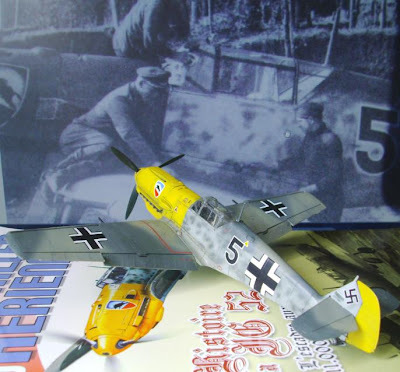 Aficionados of the Messerschmitt Bf 109 have so far this year enjoyed some great new kits - Eduard, Zvezda and Trumpeter have all produced fantastic 109s in various scales in 2010. Airfix eases into the frame just in time for the 70th anniversary of the Battle of Britain and the airshow season with this new quarter-scale kit of the iconic Emil. 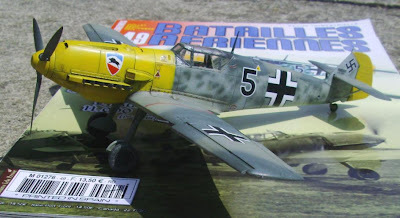 Now given recent Airfix releases, the hard-bitten Luftwaffe enthusiast might be forgiven for thinking that a new Airfix Emil is unlikely to be worth investigating. One thing is sure, Airfix will have to come up with something special to make any sort of impression. And I think they have. 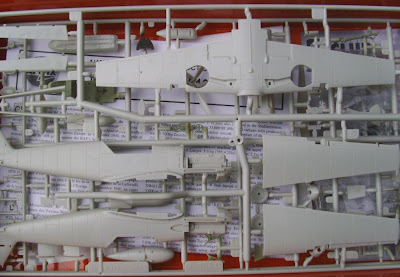 While some of Airfix's recent offerings have attracted the brickbats for their heavy panel lines and somewhat coarse detail, this latest release shows some real finesse among its 107 parts, notwithstanding some of the trade-mark 'clunkiness' here and there. I was keen to start this kit as soon as I got it home as you can see here. 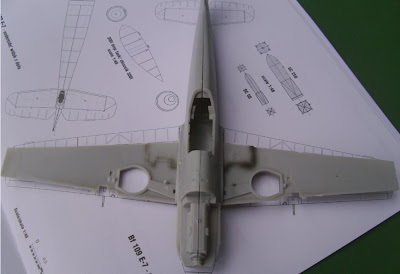 Using the Kagero plans published in the excellent 'Top Drawings' series the accuracy of this new Airfix Emil certainly stands up to close scrutiny and shows exceptional promise right out of the box. Consider whats on offer - separate slats, flaps, rudder and control surfaces, one-piece upper and lower cowl, a neatly moulded engine, a choice of different canopies, separate gun bulges and leading edge inserts, optional bombs and racks, a drop tank, alternative spinners, bulged wheels ... in fact everything you'd need in one box to make any Me 109 E variant from an E-1 right the way through to an E-7. The E-1 carried two 7.92 mm MG 17s above the engine and two more in the wings. 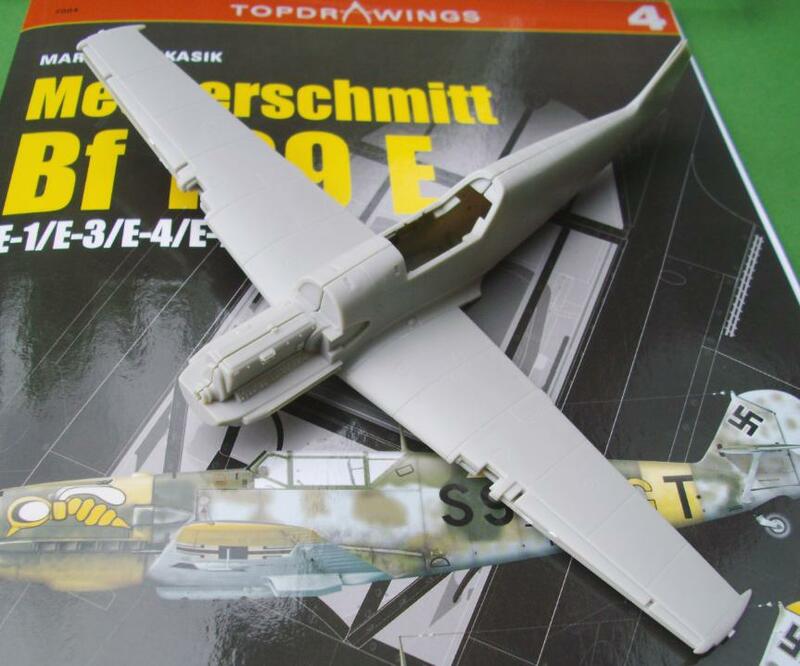 The E-1B became the first operational Bf 109 fighter bomber. These were fitted with either one central bomb rack, carrying one 250 kg bomb, or the larger racks carrying four 50 kg bombs. All included. The E-3 was armed with the two MG 17s above the engine and one MG FF cannon in each wing. The E-3 was replaced by the E-4 (with many airframes being upgraded to E-4 standards starting at the beginning of the Battle of Britain) which was different in some small details, most notably by using the modified 20 mm MG-FF/M wing cannon and having improved head armour for the pilot. All these options are possible out of the box. And no special boxings required here if planning a Tropical version - the filter intake is in the box - although there are no 'Trop' options on the decal sheet! Airfix also include an "engine" with some decent detail as part of the fuselage halves. While some will turn their noses up, it has to be said that if that block of plastic wasn't there the fuselage halves would be weak and flexible and very hard to build with the separate top and bottom cowlings. And any representation of an engine looks a lot better than an empty space behind the vents in the upper engine cover. It is very difficult to find anything to get too seriously hot under the collar about in this box - by which I mean the rivet-counters will have meagre pickings. At a push you might comment on the cowl gun troughs which look slightly too pronounced - nothing that can't be sorted with some wet-and-dry. The cockpit detail is a little soft perhaps, the oxygen regulator undersized and the belts moulded on the seat are not particularly convincing. But the throttle quadrant is a separate part as are the rudder pedals and bar. Just about everything else appears spot on. The bulged wheels with their separate hubs will look excellent when painted as will the fabric effect on the control surfaces. Very subtle. All too often that sort of thing is overdone. There are no less than four different windscreens. I haven't worked out yet what they are all for, but one of them is the modified windscreen for Adolf Galland's machine. There is one small problem with the E4/7 canopy - the mid-section has the heavy framing and the 'side' frame associated with the later 'G' variants. Not a problem if doing the earlier E1-3. The ordnance racks come complete with the attachment lugs as separate parts. The weakest parts of the Tamiya kit - the engine exhaust ejector stubs, the prop and the undernourished tailwheel - are much more convincing here. The small decal sheet enables three subjects to be completed and includes full stencil detail, but while the decals themselves are well printed, they have a matte finish which doesn't bode well and I imagine most Luftwaffe modellers will want to replace them with something else. The acid test will be in the build of course, but I don't envisage any problems here. 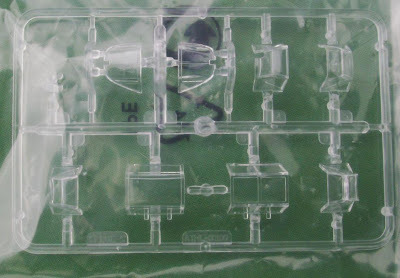 The only potential issue I can see is the location of some ejector pin marks on the cockpit walls and one pin mark in the roof of each undercarriage well which will be pretty hard to fill (see photo) Parts break-down almost exactly replicates the Tamiya Emils and those kits virtually build themselves as we know. In fact the fuselage/wing assembly holds together very securely with no tape or glue - or gaps ! (see photo) The more I look at these new Airfix sprues the more I'm inclined to think that this potentially rates up there with the Tamiya Emil E-3 boxing I'm currently finishing off. However Airfix go further and are to be commended for putting literally everything in the box for a bit less ..hopefully I'll get to finish my first one this week. The build - or at least the final part of it - is here on my modelling blog. 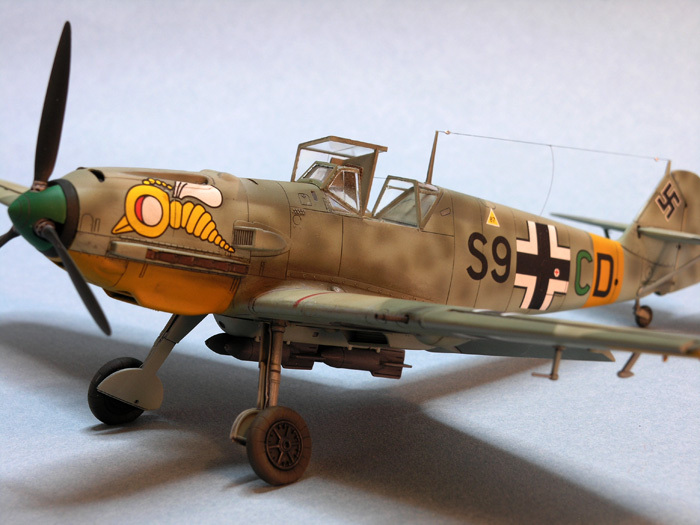 According to Michael Ullmann writing in the June 2004 issue of SAM, "there are strong grounds to indicate that Erich Hartmann's last machine was a Bf 109 K-4". This is a somewhat surprising assertion given that there is no credible evidence that Hartmann ever flew a Bf 109 K-4. 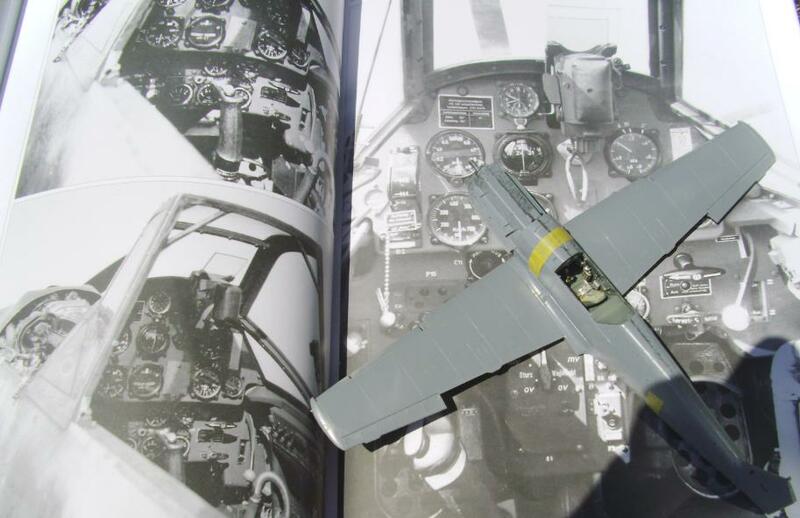 Toliver and Constable's "The Blond Knight..." can be discounted as an accurate reference since the authors did not have his Flugbücher or the unit KTB for the 1944-45 period. 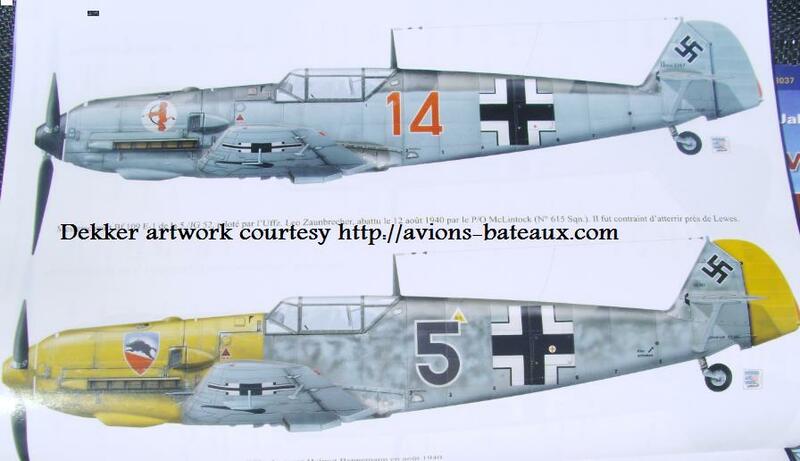 The much repeated Bf 109 K-4 "profile" was originated by Karl Ries in his "Luftwaffe Camouflage and Markings" series from the 1960s and '70s. 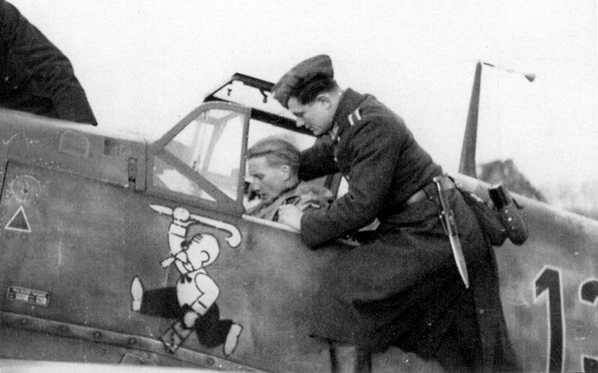 He had a made-up colour drawing of a Hartman Bf 109 K-4 complete with an oak wreath, and the 352 Abschüsse on the rudder. 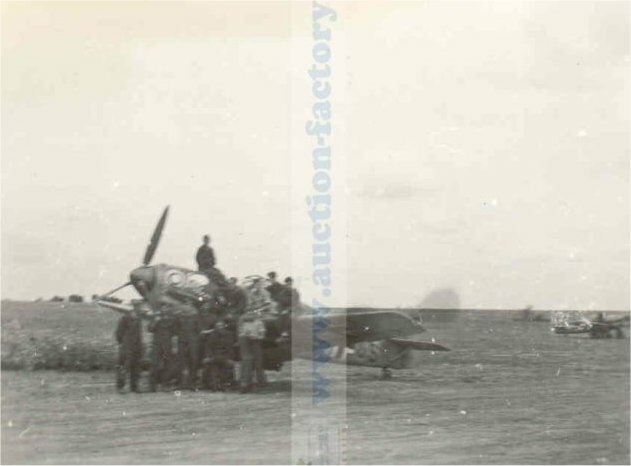 It simply beggars belief that the ground crew could have taken the time to paint the 352nd Balken on the rudder, then set fire to the machine! Pure fiction. But this was picked up by every subsequent book and decal maker as fact, a myth still pedalled by self-appointed 'experts' on the net (such as Brendan804 on warthunder.com) and the like today.. The last known Hartmann machine we have any evidence for is the well-known photo of him, supposedly taken in mid-April '45, standing by his Erla-built Bf 109 G-10 machine -see below. This was allegedly taken on the occasion of his 350th Abschuß. 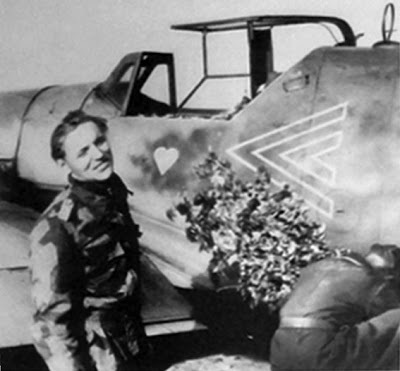 A more recently discovered image (below) shows a little more than the red heart and part of the Gruppenkommandeur's Doppel-winkel- this G-10 apparently features the tulip marking. 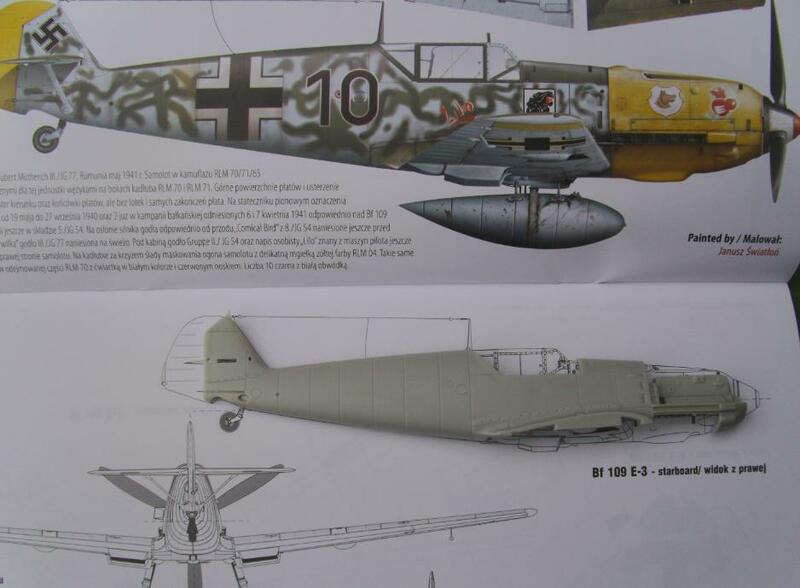 This variant was also the "hottest" Bf 109 then available, so no surprise Hartmann flew one and that it was in fact most likely to have been Hartmann's last aircraft..
On the other hand - playing devils advocate here - there is photographic evidence ( see JG 52 in Deutsche Brod from Japo) indicating that the Stab JG 52 had Bf 109 K-4s with tulip designs & that as Hartmann's I./JG 52 shared a field with them the chances are he might well have flown one. According to Michael Ullmann then "there are strong grounds to indicate that Hartmann's last machine was a Bf 109 K-4". However the only 'fact' Ullmann cites in support is rather nebulous; high ranking & highly decorated pilots invariably received the latest equipment in an effort to maintain an advantage over their adversaries- rather over-looking the fact that the K-4 was proposed as an up-dated fighter-bomber variant. 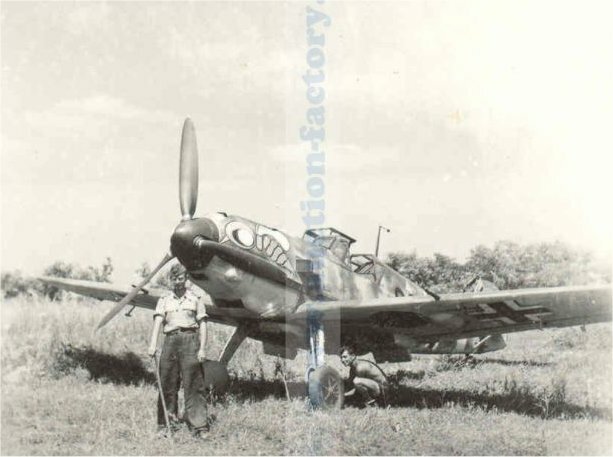 No matter either that the chaotic conditions in German manufacturing in early 1945 meant that machines were leaving 'factories' with little or no quality control being exercised - there is an account in the JG 300 history from a Bf 109 pilot ferrying K-4's minus instruments, oxygen etc etc. Ullmann 'suggests' Hartmann flew a K-4 (with tulip) in the last WNr batch 334xxx/335xxx which would have been finished in 75/83 with an 82/83 tail unit. Quite why a so-called Luftwaffe colours 'expert' would want to start or perpetuate this myth I've no idea. 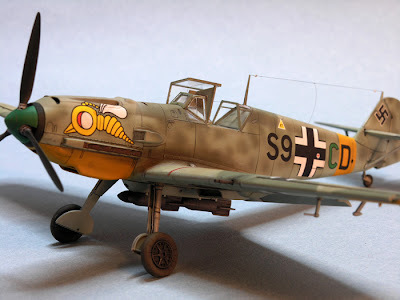 I've had this discussion with both Barbas & Lorant who both interviewed Hartmann & pored over his surviving log book; the last of Hartmann's machines we actually know anything about was a Bf109 G-10. 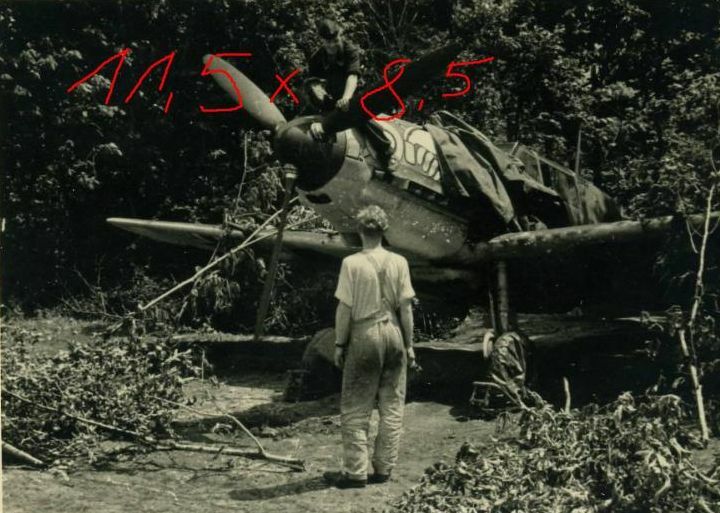 Incidentally the highest score seen/photographed on any of Hartmann's (known) rudders was 121. 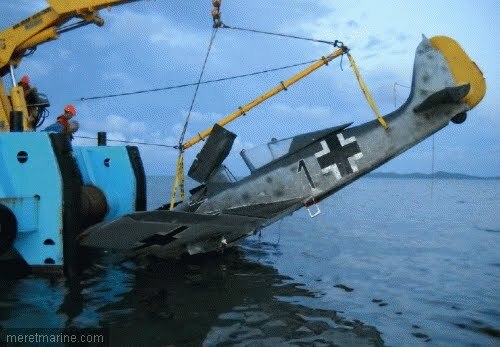 The Flugwerk Fw 190 has been salvaged soon after its ditching in the Med. 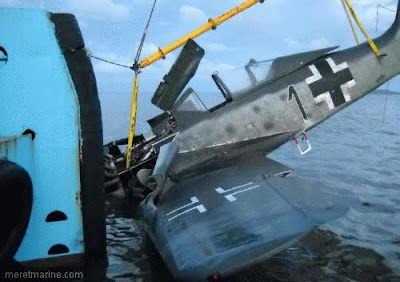 Foad Zahedi, director of Jifmar Offshore Services explained that the aim was to salvage " the aircraft without damaging it further in the expectation that it will be restored to airworthiness one day "
10-victory ace Lt. Josef Bürschgens 7./JG 26. Note the 7 Staffel 'red heart' emblem. 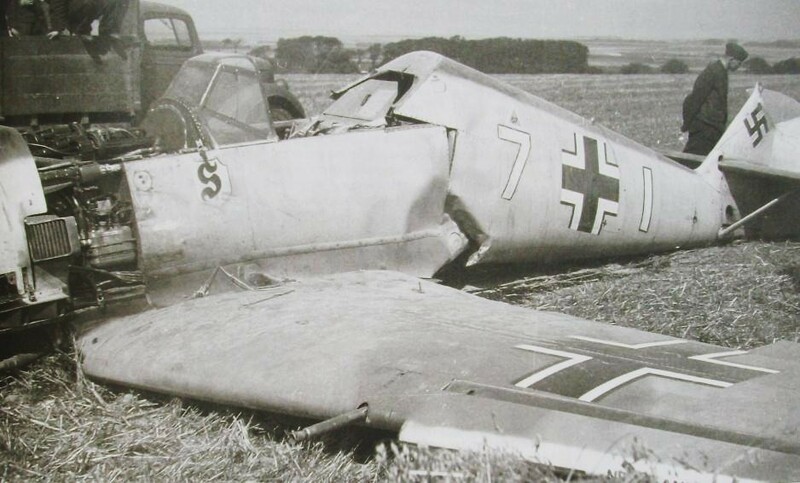 Some Czech authors apparently believe this to be black....Bürschgens was shot down and taken into captivity after crash-landing near Folkestone on 1 September 1940. Below his 'White 7' after a crash-landing at Caffiers, northern France after returning from a sortie over England. 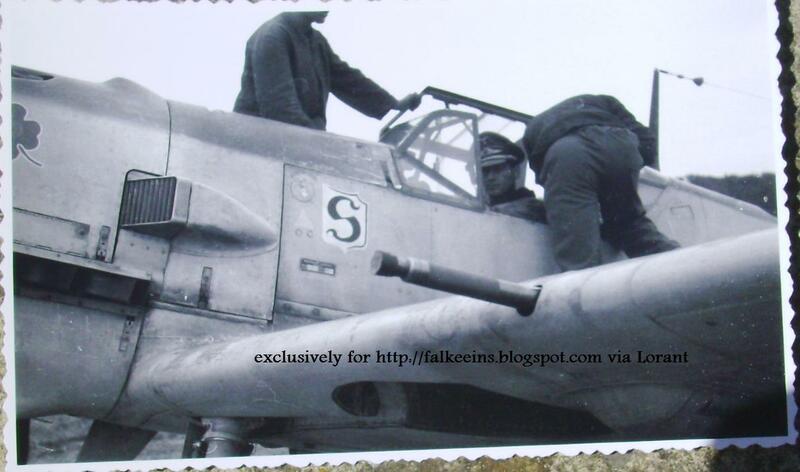 Above; Staffelkapitän Sprick at the controls of his 8./JG 26 'Adamson Staffel' Bf 109 F during June 1941. He pulled the wings off his Friedrich on 28 June 1941 in combat with Spitfires and crashed to his death at Holque. He was buried in Abbeville on 30 June 1941. Oblt. Gerhard Schöpfel seen strapping into the cockpit of his Emil for another sortie over England, August 1940. He was appointed Kommandeur III./JG 26 on 21 August 1940 when Galland became Kommdore. Note the Stab four-leaf clover emblem on the cowl. Click on the image for a larger view. 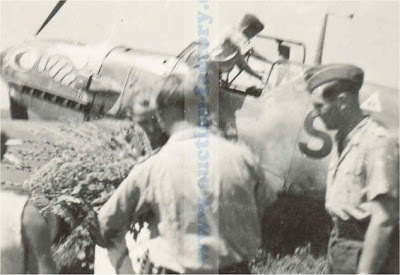 Note that more of Lorant's BoB photo collection (along with some nice Mombeeck images) were published in a three part Battle of Britain special in the 'Batailles Aériennes' series published by Lela Presse. A poor quality repro of this image was previously published in the Jet & Prop Foto Archiv No.11 - the Stab emblem cropped out ! 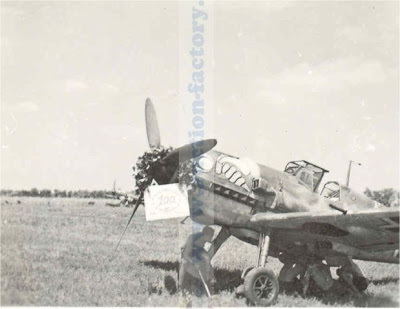 And talking of poor quality Jet & Prop Foto Archiv images, here's a much better view (below) of Galland's Emil seen prior to the Kommandeur's award of the RK during August 1940, 22 victory Balken on the rudder. 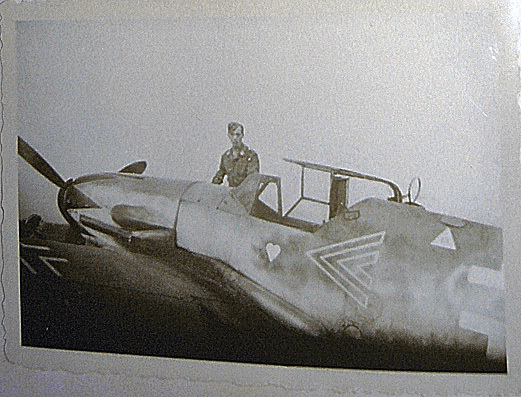 Staffelkapitän 14./JG 26 Oblt Hans Dortenmann seen here in the cockpit of ‘Black 1’, Wnr 210003 a very early production Dora-9. 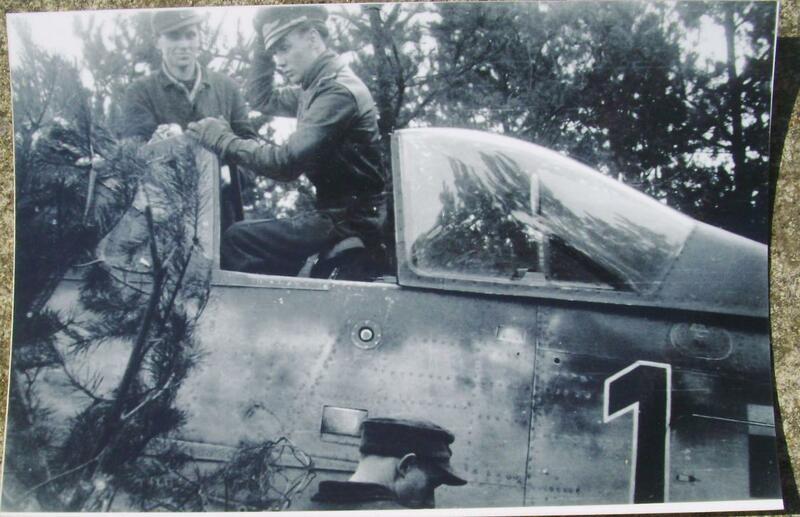 He flew this aircraft –despite it being plagued with engine problems- through to 5 May 1945. Although the Staffel number was ‘1’, it’s colour changed through red, black and yellow as III./JG 54 converted to IV./JG 26. Dortenmann -as Staffelkapitän 3./JG 26- finally blew his aircraft up to prevent it falling into British hands. 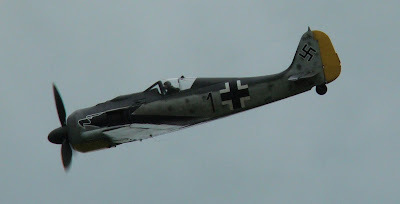 He had achieved some eighteen victories on the type and was one of the leading aces on the D-9. 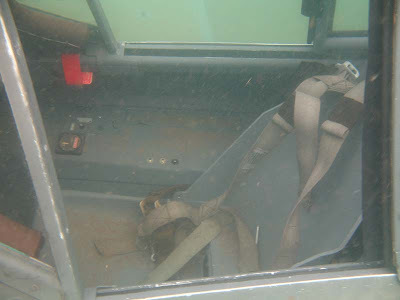 Note the fuselage strengthening strips visible in this shot and the primer fuel fill aperture (3 litres) under the cockpit sill. No caption necessary ! Lovely clear shot of Priller at the controls of 'Black 13'. Thanks to Jean-Yves Lorant for the beautiful photo print! 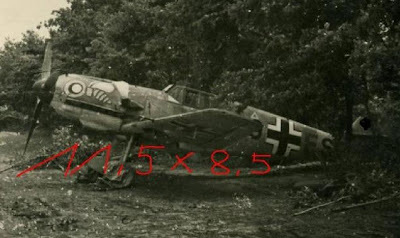 Photos of the "Wespengeschwader" Bf-109E-7 Jabo sub-types used in 1942 on the Eastern front are pretty hard to come by. The following images appeared a few years ago on ebay - I have no idea whether they have been published since. They appear to depict two different machines, 'S9+GT' and 'S9+GS'. Decal sheet manufacturers have for ages given us various profile options ( usually 'S9+RS') while the old Hasegawa 1/72nd model Wespen was 'S9+CD'. A few years ago, decal manufacturers MSAP gave us a 'Russian Campaign' sheet in their Bf109 Emil series which also included 'S9+CD', captioned as a "Bf109 E-7B of III./SKG210, central sector, autumn 1941." Not withstanding the confusion surrounding the unit designation - some quoting "8./ZG1" and others "III/SKG210" - this particular offering got it all wrong ! On 4th January 1942 SKG 210 was redesignated ZG 1. The Geschwaderstab/SKG 210 was re-designated Geschwaderstab/ZG 1; I./SKG 210 became I./ZG 1 and II./SKG 210 became II./ZG 1. A III. Gruppe was formed with pilots from training school and an SAGr unit. This new III. Gruppe was equipped with Bf 109 E-7s. 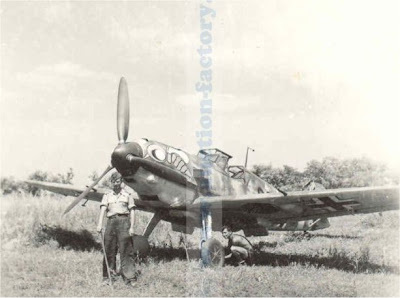 All Bf 109 E Wespen aircraft were thus assigned to III./ZG 1 and not SKG 210. The machines seen here in these rare shots were E-7 variants, identifiable by the pointed nose. The first Emil Jabos had their electrical and mechanical plumbing modified to carry bombs and were E-4/B sub-types. The E-7 came from the factory with the plumbing, and electrical terminals already in place either for ordnance to be loaded on a bomb rack or for a belly tank on a drop-tank rack. Hence their designation as E-7s with either load. "...If you're planning on modelling a Schlachtgeschwader aircraft, bear in mind they would often receive "cast-offs" from other units which had transitioned onto the F, and as such were just as likely to be painted in 71/02/65... 2. (S)/LG 2 is a good example of this, they received some old E-4/bs from III./JG 77 in April-May 1941.It's admittedly a judgment call, and I would be the last one to say it's unequivocally wrong should you decide to go with 74/75/76, but given the "chain of custody" of those aircraft (i.e. where they came from) and the timeframe, 02/71 seems more likely....". 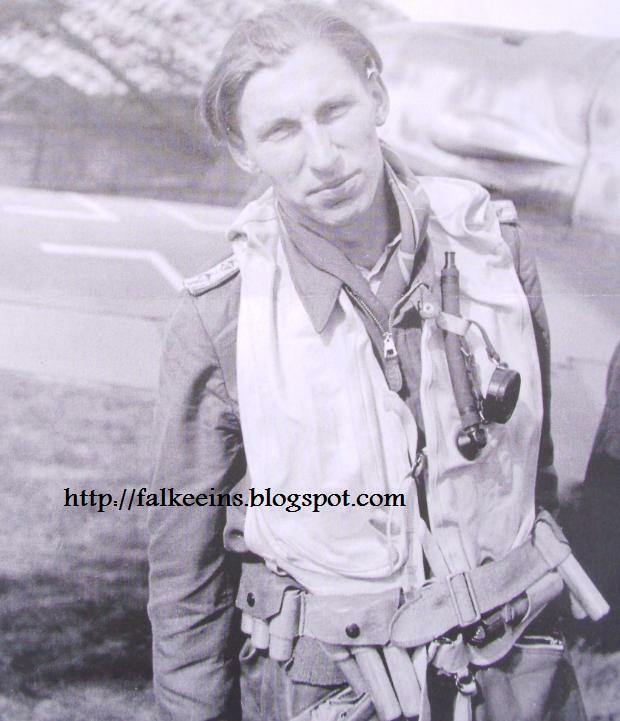 Helmut Bennemann served as Adjutant I./JG 52 during the Battle of Britain. He gained his first victory on 26 August 1940 when he shot down an RAF Spitfire near Dover. 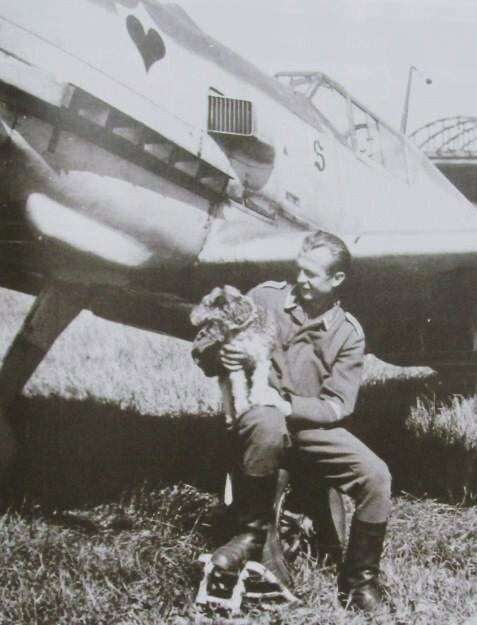 On 15 September, Bennemann shot down three RAF Hurricanes to record his sixth through eighth victories. 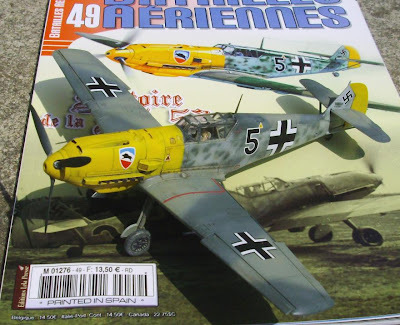 This is a build of the Tamiya 1/48th kit in the colours of Bennemann's 'Black 5' as depicted by Thierry Dekker in the recent two part 'Batailles Aériennes' quarterly devoted to the history of JG 52. Bennemann was based at Coquelles just south of Calais on the Channel coast, close to where the Eurotunnel terminal is located today. My model is photographed on the cockpit detail pages published in the superb Emil monographs from Kagero. Click on the images for a larger view. ..II. 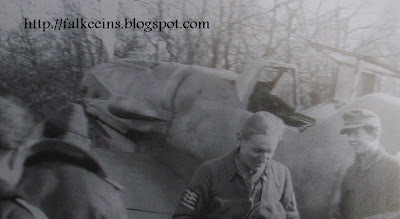 and III./JG 2 started conversion onto the latest 'F' variant of the celebrated Messerschmitt fighter during March 1941. The 'Friedrich' presented a number of enhancements over the successive improvements introduced to the venerable "Emil" with which the Jagdwaffe had gone to war over Poland. 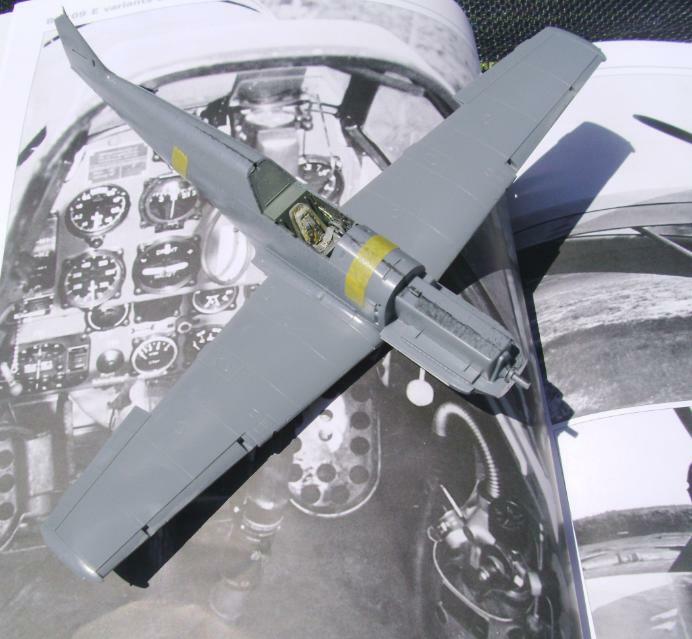 The basic airframe had undergone a redesign with the aim of improving aerodynamic efficiency - especially in the area of the wing and tailplane. Both spinner and wingtips were rounded and more streamlined and the Emil's horizontal stabilizer brace supports had been eliminated. In addition the tailwheel was now fully retractable. However the Friedrich did not feature wing armament and weight of fire was thus reduced in comparison to the older sub-type. There were also some structural issues with early examples, a number of pilots being lost after tearing the wings off in high 'G' manoeuvres. 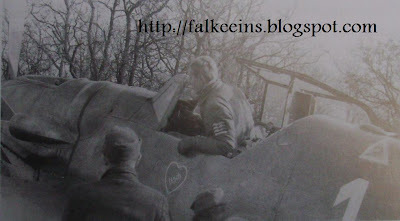 The most notable loss was JG 2 Kommodore Wilhelm Balthasar on 3 July 1941. 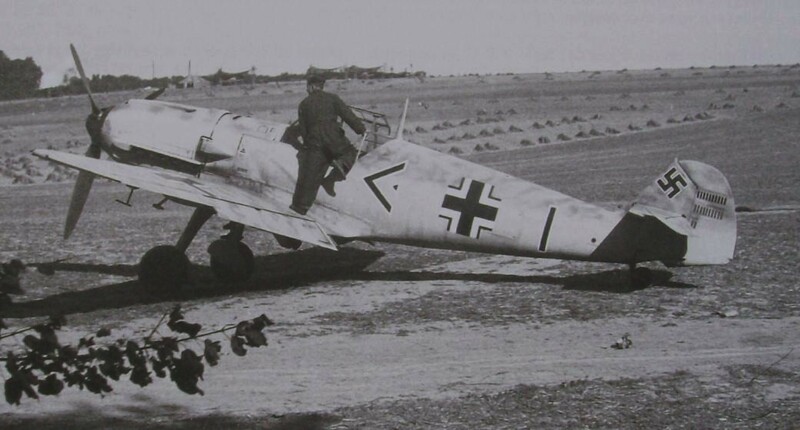 Despite this, the first Bf 109 F-2s in service on the Channel Front gave the RAF a pretty hard time. 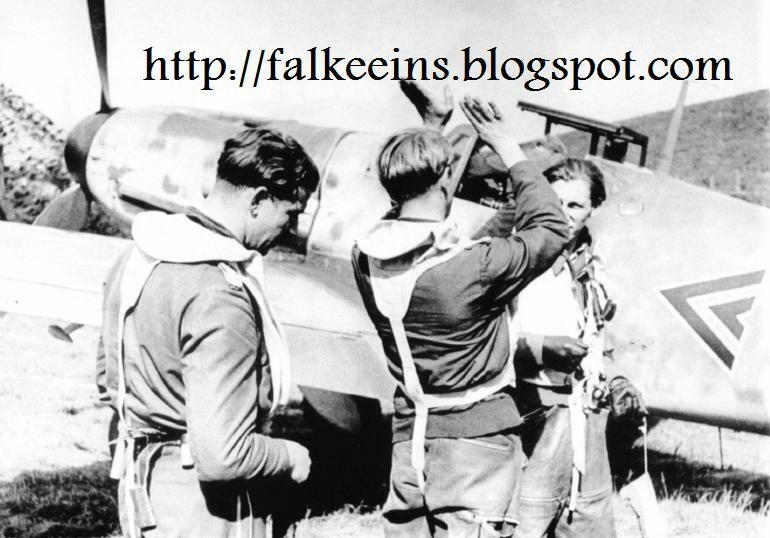 On 23 July 1941, two Circuses were mounted for actual losses of 15 Spitfires and a single Hurricane shot down - the "Richthofen" claimed no less than fourteen Spitfires during Circus No. 59 (from 13:14 to 13:30) and fourteen more (plus a Hurricane ) during Circus N ° 60 (from 20:55 to 20:20)! 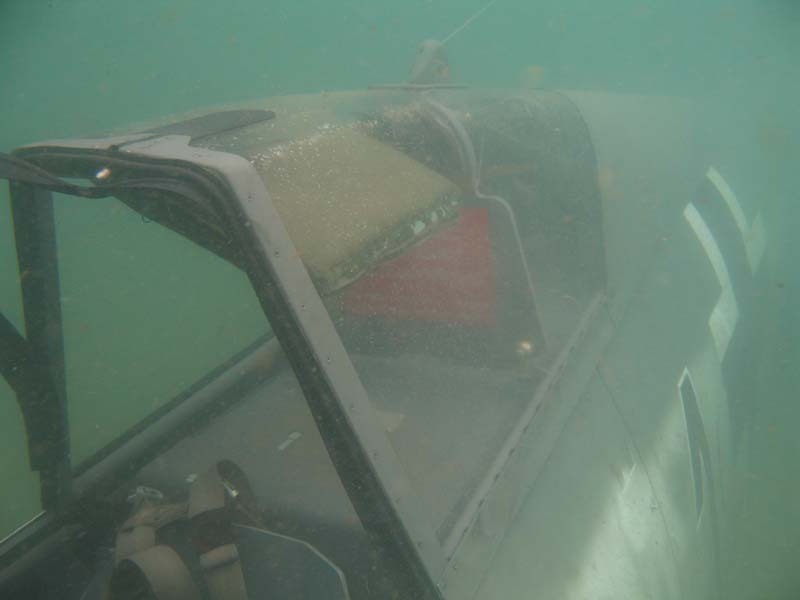 JG 26 filed nine claims. 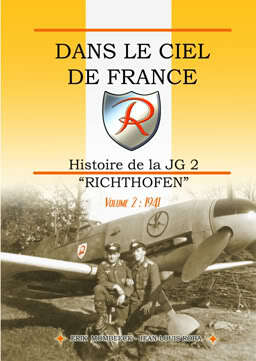 20 September 1941 was another bad day for the RAF with three Circuses over France - JG 2 claimed 15 Spitfires (7 actual losses) while their training Staffel 4./JFS 5 claimed 11..! On 27 September, two groups of eleven Blenheims were sent to Amiens and Mazingarbe (Circus 103). 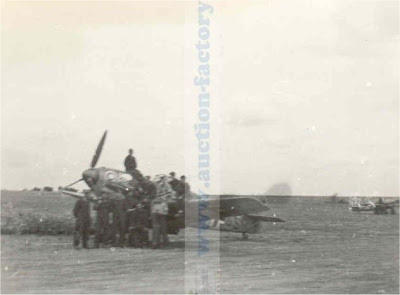 The RAF lost twelve Spitfires ( from Nos. 72, 129, 308, 403, 603, 609, 611, 615 and 616 Squadrons). With the F-2 in service the RAF over France sustained an almost constant round of blood-letting..
Are you like me and really cringe when people write staffels or gruppes etc etc? 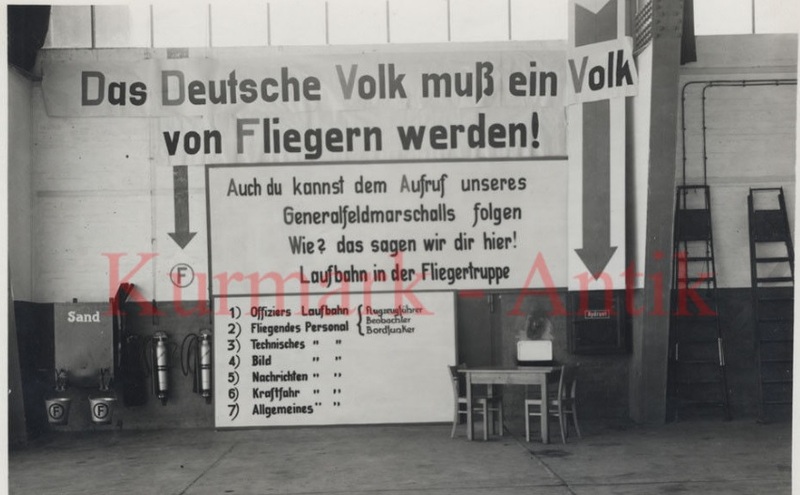 Do you groan when you read English writers writing about Luftwaffe subjects and still treating us to abominations such as 'Geschwaderen' or 'Geschwaders' or other similar 'non-grammatical' forms! A fighter (or Jagd) Geschwader was comprised usually of 3 Gruppen written I./ II./ or III./JG51. Each individual Gruppe was comprised of 3 Staffeln, written 1./ 2./ or 3./ Staffel in ascending numerical order. 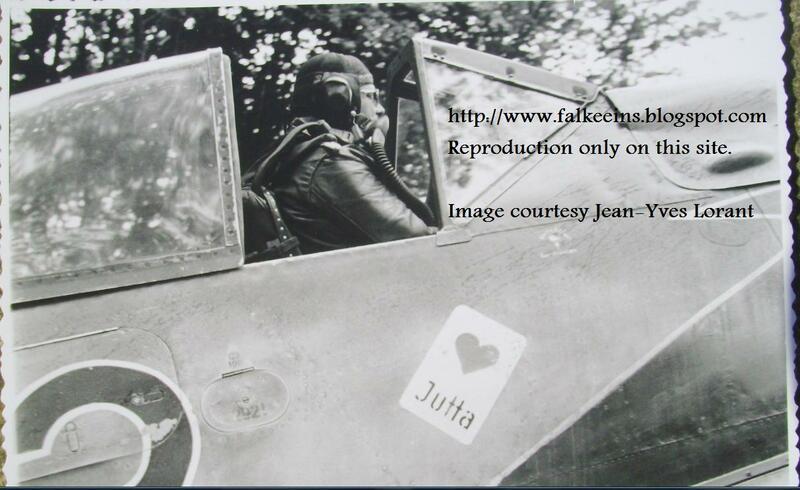 So 7./JG 51 is the 7th Staffel of that Geschwader and was in III. Gruppe ..
Staffel numbers were colour coded of course for ID purposes ....a fourth Staffel per Gruppe was added from mid-late 1944 along with a fourth Gruppe to each Geschwader. 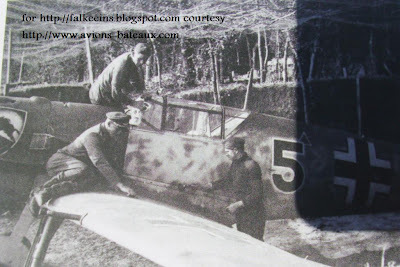 The number '13' (or '1') would usually be the a/c flown by the Staffelkapitän while the Gruppenkommandeur tended to use the double chevron as an ID marking. The CO of a Geschwader was a Kommodore. The Gruppe can be identified by the symbol (or lack of it ) aft of the fuselage cross..
A note on the written form of these words. 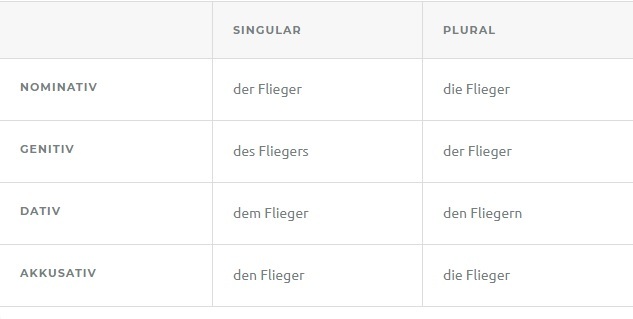 The plural form of Geschwader is ..Geschwader - there is no 's' or 'en' or anything else in the plural form, in fact the letter 's' is only very occasionally a plural in German. Most usual plural forms being 'e' or 'en' or just 'n' among others. And as we've just seen some German nouns have NO plural form. I'm sure you all know that one. Now go and look at the text in your average Osprey title - even though Weal speaks German I reckon his correctors and editors don't, but writing staffels, geschwaders etc etc is incorrect in my view. As I say, feel free to cringe when you see other English writers who should know better coming up with 'Geschwaderen' or 'Geschwaders' or similar 'non-grammatical' forms. All nouns are written with a capital letter in German, eg the German for 'ace' is 'Experte' which becomes 'Experten' in the plural. The letter 'n' is the plural form here..
Abschuss is one kill - " his 150th Abschuss "
Abschüsse is several kills - " he achieved 150 Abschüsse "
" Das Deutsche Volk muss ein Volk von Fliegern werden" - Note Flieger has no plural in German - it means 'airman' or 'airmen' 'flyer' or 'flyers'. Here though it follows a preposition 'von' which always takes the 'dative' case - dative case plurals end in 'n', hence 'von Fliegern' ( ..lit ..'of flyers'..). Feindflug (lit. enemy flight) denoted a flight over enemy-held territory or a flight in which the enemy was encountered and combat joined if over German-held territory. Also known as a Frontflug. The Frontflugspange was the (operational) 'missions clasp' awarded to frontline pilots with a certain number of sorties under their belts. Contact with the enemy was termed Feindberührung - the title of Jules Meimberg's autobiography as it happens.